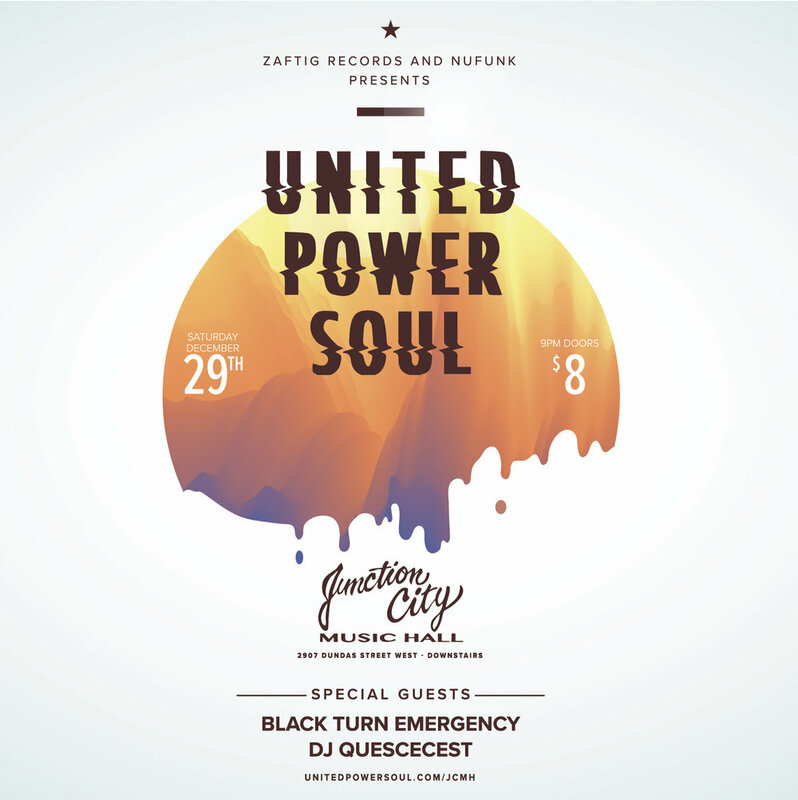 United Power Soul brings their authentic, electrifying brand of funk to Junction City Music Hall (2907 Dundas St. W.), December 29th 2018 for a special live music event. Come get your holiday groove on with UPS and special guests Black Turn Emergency and DJ ?uescecest! It might be cold outside, but this party is gonna be hot! See you there. We send great updates about the band and let you know when we play next. Add yourself and become a part of the journey.